Oh, How our Gardens Grow! The gardens at Birches are in full bloom this summer! Our butterfly garden is attracting many different kinds of butterflies and we expect more as the plants continue to bloom. 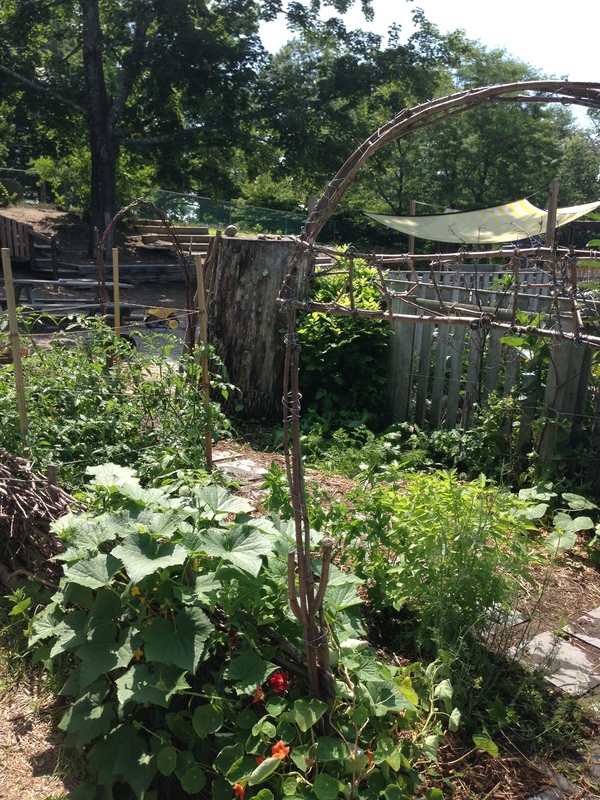 Our vegetable garden is thriving as well: the tomato plants have bunches of little green tomatoes; our bean teepee is huge (but no beans yet! ); and our cucumber plant has already produced several delicious cucumbers. A few Birches students stopped by last week and got to taste the yummy cucumbers. Feel free to drop in and check out our gardens for yourself! Older PostLast Day of School 2014!